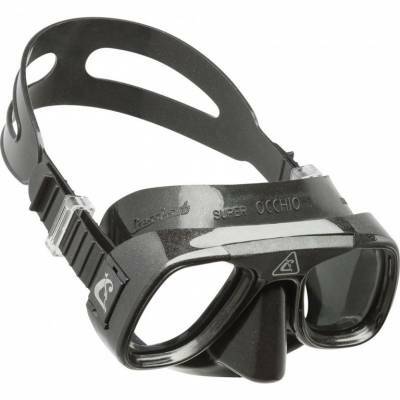 A grand classic in Cressi mask production, which continues to find favour with enthusiasts, even though it has been around for years now.The mask is small, has a low inner volume and is very suitable for deep free diving. The skirt is small and the mask adapts easily to a large number of face types. The two separate lenses as situated very close to eyes to offer good visibility in all directions.